Tear lettuce into small pieces and keep aside. Cut broccoli into small florets and blanch. Roast the peppers, remove skin and dice. Toss all the vegetables, chick peas, kidney beans with the vinaigrette. 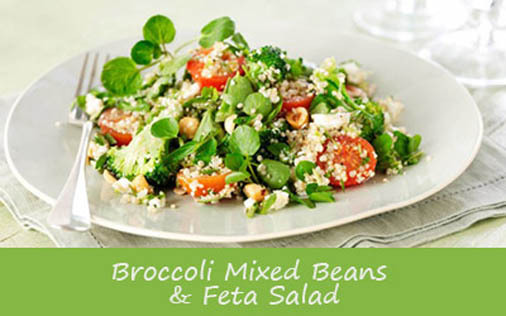 Place in a salad plate and top with feta cheese and flaxseeds.